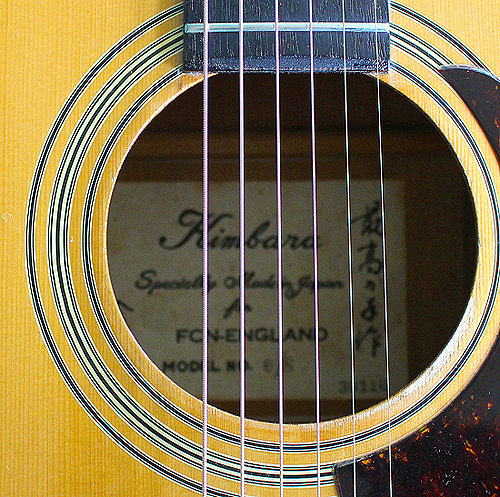 Kimbara guitars were made made in Japan from 1968 to the late 70s. In later years they were made in Korea and finally China. The name Kimbara was created by FCN (Fletcher Copock and Newman of London) who were the importers of these instruments. Information on the factories that produced them is scant, but I'm fairly sure they were made at the Ibanez Hoshino factory at around this date. What woods and construction does the Kimbara 6/s use? 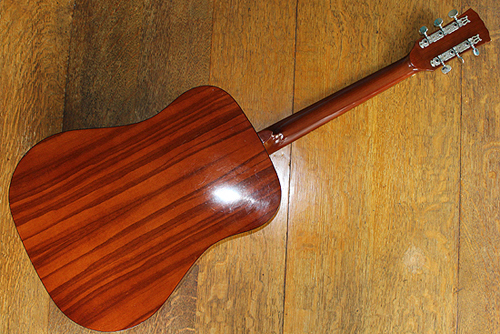 The Guitar has a Mahogany neck, back and sides with a rosewood fingerboard. the finger board has unusual and well placed ovaloid position markers. 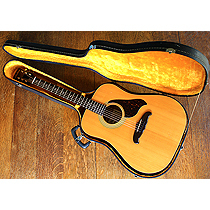 The woods used are all traditional real woods, and this is immediately noticeable by picking it up as it will be heavier than a lot of acoustic guitars made today. The mahogany neck features two, 3 in a line machine heads. The truss rod works and the guitar has been set up with a set of Martin 10 - 47 light guage strings. Identifying the model number and country of origin? The style of these guitars changed a lot over the years and although the woods remained much the same throughout the Japanese Kimbara range, the shape changed as well as the parts used. 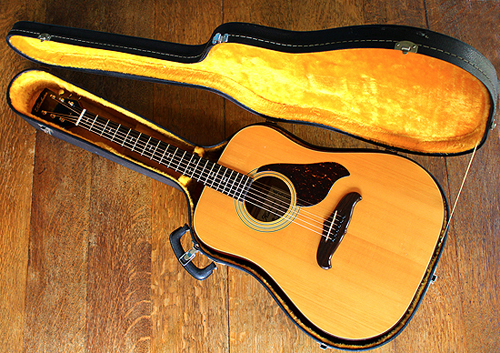 The best way to tell where and when the guitar was made is to check the name plate in the sound hole. The text on this one reads "Kimbara specially made in Japan for FCN England model 6/s". This tells the viewer that the guitar was made in Japan somewhere between 1968 and 1979. By the fixtures and condition my best guess would be somewhere between 1973 and 1976. Included is the old hard case it came in and although it is a bit battered and has one lock replaced it still works and will be used to protect the guitar during transport. What is the guitars condition and what does it sound like? 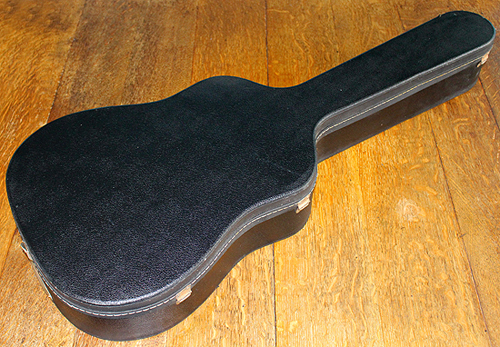 The guitar has a few scratches and dings as shown in the photographs, but it is 40+ years old. 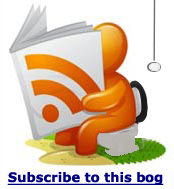 There is nothing major that would affect the sound or action and the overall condition is good. The sound quality is excellent suiting fingerpicking or a strumming style and there are no noticeable fret buzzes or or fret problems. 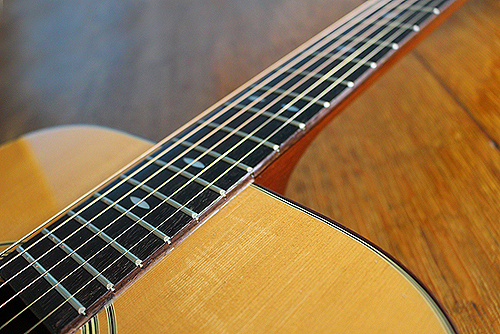 Action is about 2.75mm at the 12th fret (low E string) and plays well.